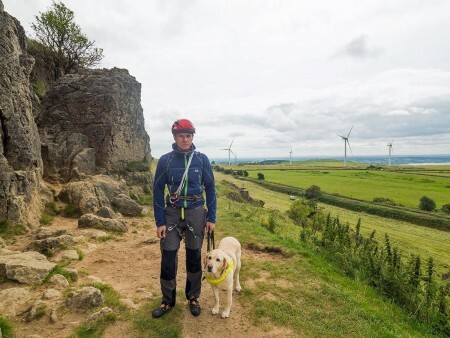 When John had qualified with his Guide Dog Annie, a golden labrador, they had learnt the routes to take his daughter to school, and to go into the city centre. Now they set out to learn the way to get to a local climbing wall and to the outdoor gear shops. So when his competition sight guide, Mark McGowan (@markmcgowan01) suggested they climb the Eiger together, John’s answer was an instantaneous YES. They were joined by two more paraclimbers, a woman with multiple sclerosis, and a young man with autism. 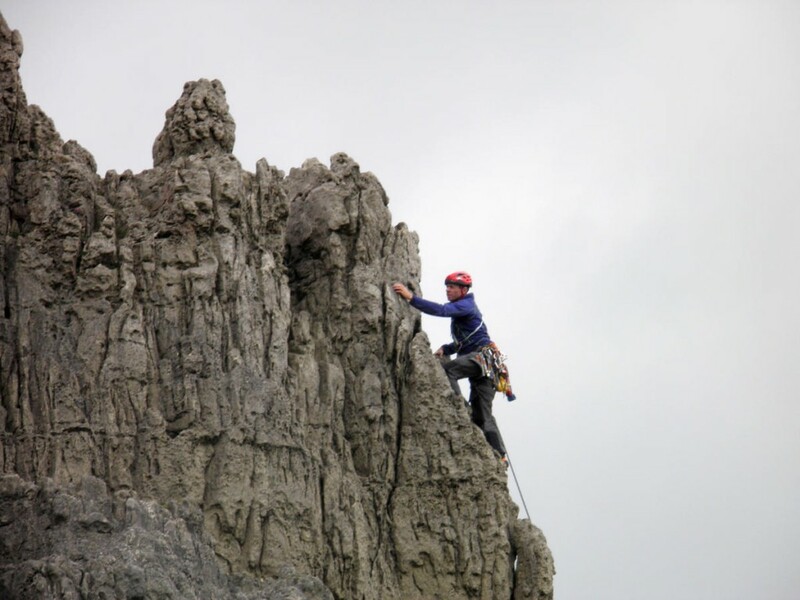 They climbed the Eiger via the West Flank Route, and reached the summit on 26th July 2015, making John the first blind person to do it. “We planned, we trained, and we made it happen. It was an amazing experience. There were people who felt that it shouldn't be done, that we should choose a different mountain. That spurred us on to prove that people with disabilities should be able to have adventures and take risks.” They won a National Outdoor Award for 'Inspiring Others' and the film of the climb premiered at the Kendal Mountain Film Festival. John is passionate about continuing to push boundaries. On a personal level he wants to raise his climbing grade indoors and out, increase his fitness and start doing marathons with a guide runner. 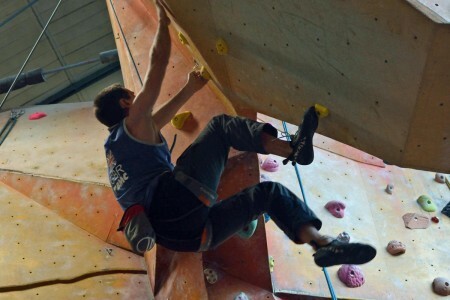 In the paraclimbing world he is active in promoting awareness and access for visually impaired climbers. Find John on his webpage www.johnchurcher.co.uk or via Twitter @jcchurcher.